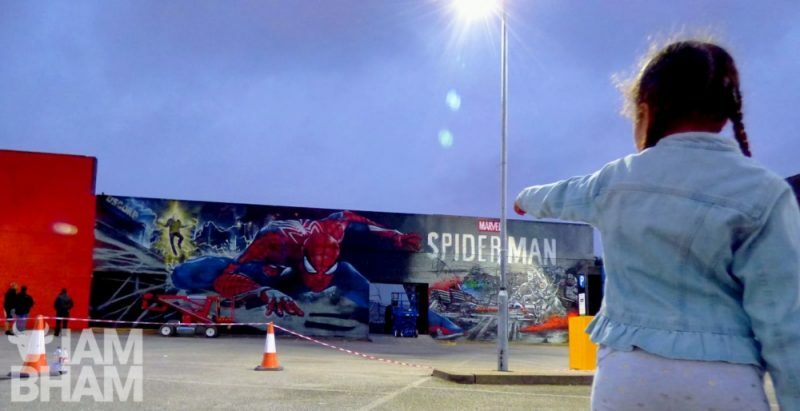 A massive piece of graphic novel art has appeared in Digbeth this week, in the guise of comic book hero Spider-Man. 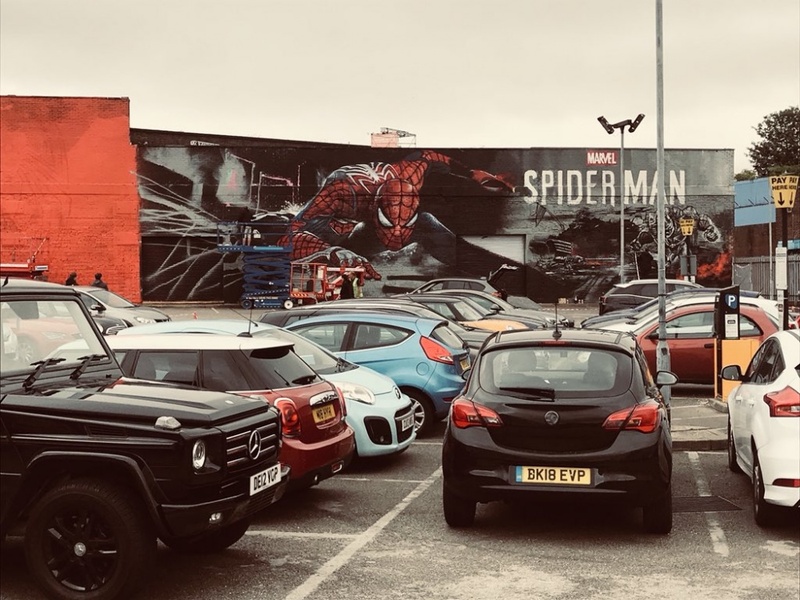 With final touches being added to the over 12-foot high mural, ol’ Spidey has been quite the ‘marvel’, turning heads as commuters pass by the Custard Factory at the corner of Gibb Street and Lower Trinity Street. 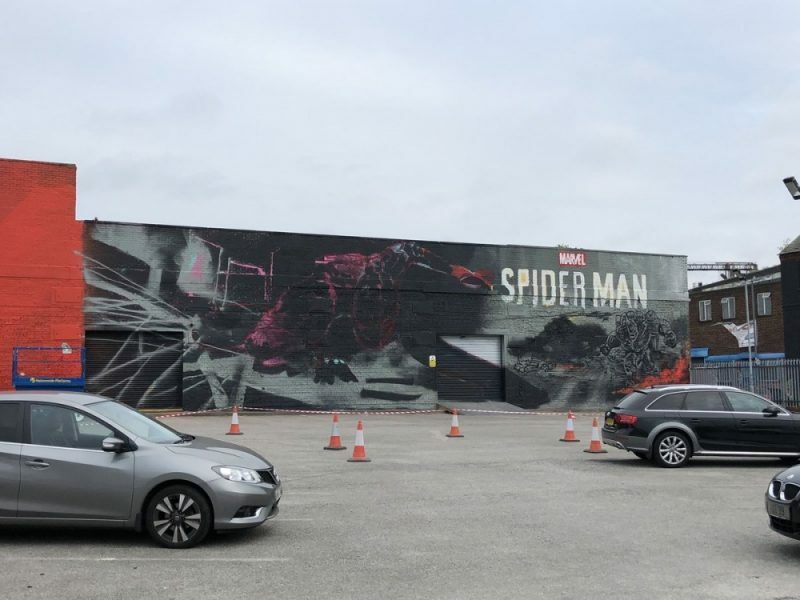 Located in Heath Mill Lane car park, the huge web-slinging icon is the work of street artists Jim Vision and Gent48, who spent most of this last week using a large spray machine to buff the walls before taking to it with spray paint. Depicting the latest PlayStation4 version of Spider-Man – a single-player action game due to be released worldwide this Friday (7 September) – the larger-than-life creation is part of the city’s first High Vis Fest, a street culture festival taking place in The Custard Factory on Saturday (8 September). The one-day extravaganza is uniquely bringing together the worlds of comic book artists and heroes with street artists and urban music talent, all in and around the popular Digbeth venue. 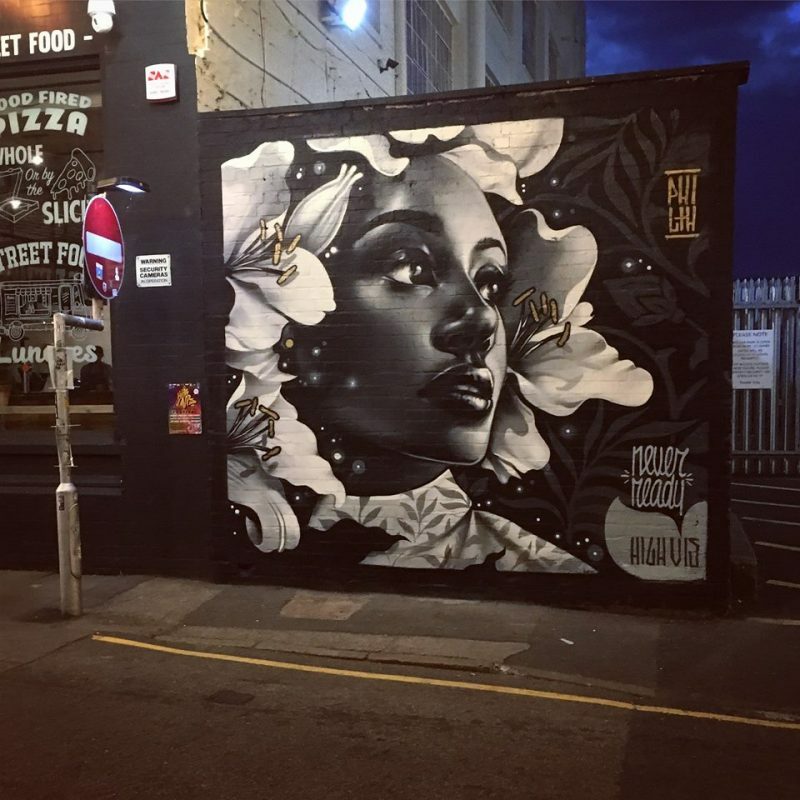 With local street artist PHILTH and several other high-profile creatives having already spent much of last week designing some stunning wall art across various Digbeth High Street sites, many of them will be returning over the weekend to engage with the public, as they develop some special pieces to tie-in with the festival. This explosion of artistic creativity will be showcasing alongside music, comic book culture and dance, as part of the city’s first-ever High Vis Fest. What is the High Vis Festival? 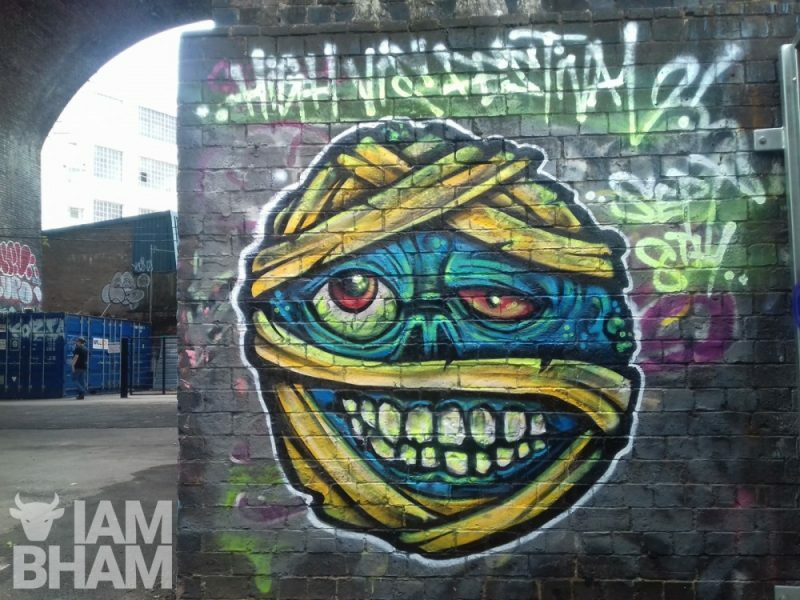 High Vis Fest is a brand new one-day street art, dance, music and comics, exploding across The Custard Factory complex on Saturday 8th September, from 11am till 9pm, before moving onto The Ruin for the official after party. In what promises to be a vibrant, energetic showcase of the best and brightest of Birmingham’s arts community. A small group of local artists, bloggers and educationalists have come together to put on a free, family-friendly event with the hopes of make it an annual affair. Already booked are established, internationally renowned artists such as Gent 48, Will Barras, and POSCA UK ambassador ThatBlokeWilson repping the street arts; with musical guest Lady Sanity headlining the High Vis Music Stage! Then there’s comic book creators Lew Stringer (The Beano, Toxic) and Simon Myers (Doctor Who, Star Wars Insider) along with others in the Comichaus Comic Zone. And this is just the tip of the iceberg, with over 40 artists confirmed and painting throughout the day. Also, along for the day is street artist sensation Foka Wolf, bringing his own brand of socially conscious art to the day. Along with dance battles, rap battles, food stalls and Sneaker Hawks bringing their flyest footwear with them on the day, the organisers – all voluntarily juggling this with day jobs – hope that it will be an event to remember and enjoyed by as many Brummies as possible. Keeping it fun, family-friendly and free. Keeping attendees entertained throughout the day, the High Vis Fest Crew have promised workshops, drawing areas, live music, live drawing and a special showing of Spike Lees’ new critically acclaimed film, Blackkklansman, courtesy of Afroflux and The Mockingbird Cinema at the Custard Factory. 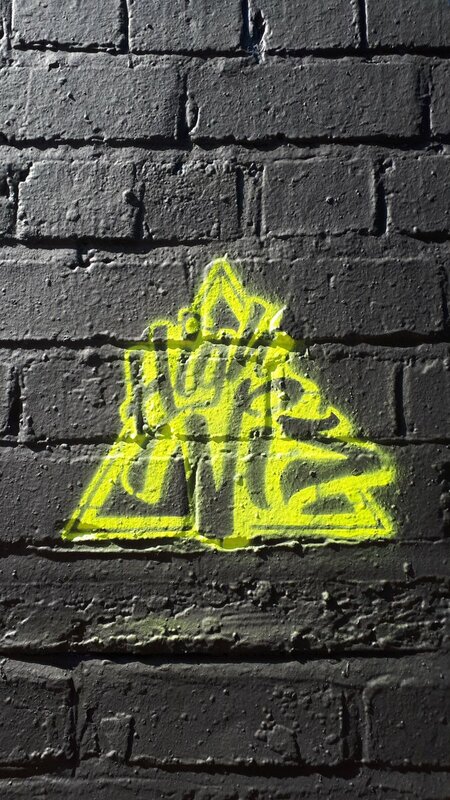 Curated by volunteers and funded through a Kickstarter campaign – of which the Spider-Man mural was a reward – High Vis Fest is the brainchild of a team which includes David ‘Panda’ Brown, the owner of GraffitiArtist.com and one of the director’s of B-Side Hip Hop Festival. Joining him in the endeavour is musician, comic connoisseur and Afrofuturist Juice Aleem, David ‘Footloose’ Russell of Break Mission, renowned street artist Simon ‘Wingy’ Wingfield from Getting Dirty Apparel, illustrator and educator Craig Earp, street artist and graphic designer Dan “Mose 78″ Lloyd; and comic book journalist and street art enthusiast Olly MacNamee. High Vis Fest will be exploding across The Custard Factory complex on Saturday 8th September, from 11am till 9pm, before moving onto The Ruin for the official after party.